Two days' hiking trip for Huashan Mountain. Pick you up from the hote , and then drive to Huashan Mountain, which takes two hours on the way. Lunch time, and prepare to go hiking on the Huashan Mountain. 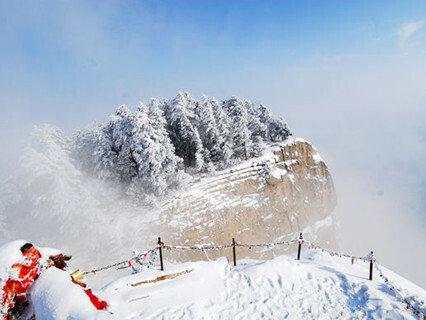 Huashan Mountain, has always been known for its precipitousness, with an altitude of 2,200 meters. 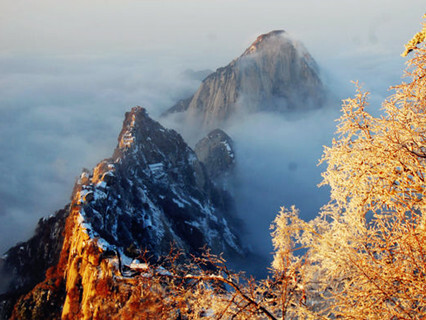 It is one of the noted Five Mountains in China and called the West Mountain in ancient times. There are five peaks: the Morning Sun Peak(the East Peak), the Lotus Flower Peak(the West Peak),the Jade Lady Peak(the Central Peak)，the Wild Goose-resting Peak(the South Peak)，the Cloudy Terrace Peak(the North Peak). 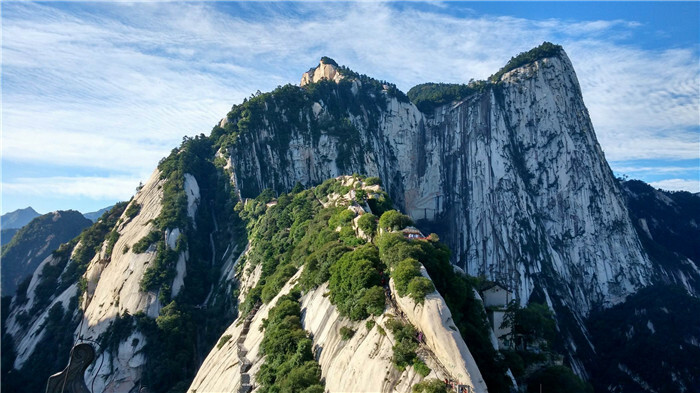 From a distance, these five peaks look like a lotus flowers among the mountains, hence the name of Mount Hua (Hua means flowers in Chinese). North Peak(also called the Cloudy Terrace Peak), it has only one hill that leads to the south with three sides disconnected with anywhere and it is fairyly steep. From a distance, these five peaks look like a lotus flower among the mountains, hence the name of Huashan. Watch the sunrise on the top of Huashan. And then go down and have lunch at the foot of Huashan Mountain. Drive back to Xi’an downtown. That is the end of the tour. You can also extend your stay in Xian. Pick-up and drop off service from your hotel. Tips for the tour guide. Air-conditioned vehicle (car or van). Cable car of Huashan. 1. If you will arrive in Xian in the early morning on the tour day by train or flight, you just need pay extra 50RMB per person, but if you have only one person, you need to pay 100RMB. 2. Accommodation: There are hotels available on the mountain. The prices are different in different seasons. You can contact us to book a hotel. 3. There is no water for bath, no breakfast or dinner. If you like this itinerary, please prepare enough food by yourself. 1. You can book online and pay cash to tour guide, just inform us your hotel in Xian, we will send you an confirmation email. 2. When you arrive in Xian, our tour guide will call you the night before the tour to inform pick-up time on the next morning. Enquiry : hat are best month & time to visit Mt Huasha Xian China & how's much RM Malaysia. TQ.? 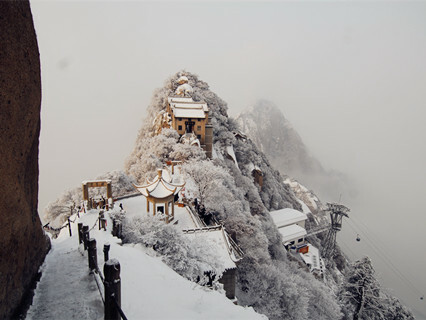 Reply : Thanks so much for your tour inquiry with us about Hushan tour in Xian, and the best month is in Apr or May, because it is not cold or hot during that time. In addition, the tour fee is 1980CNY about 293USD or 3168MYR per person, and the tour fee doesn't include the hotel on the top of mountain. Enquiry : Hi Good day!,I am Dianne Magbanua from the Philippines. I would like to inquire about your package tour of Mt. 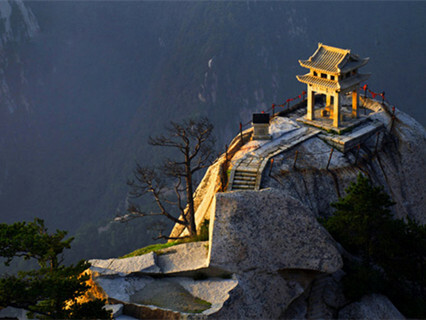 Hua Shan,Our team is composed of four persons and we want to do the tour and hike Mt. Hua Shan on November 18-19,2016,Do you have available package on Mt. Hua Shan? How much is it? Also I have other concerns.